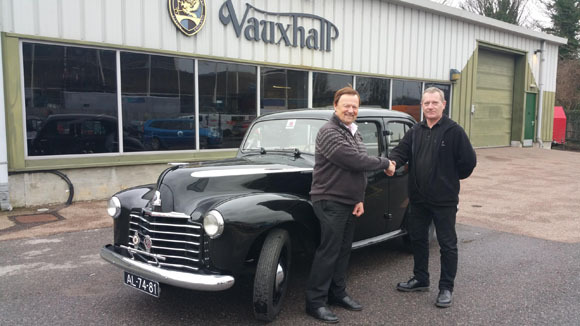 A Vauxhall Wyvern, which rolled off the Luton production line in 1949, put its wheels back on to British soil for the first time in 66 years last week when it drove from the Netherlands to Vauxhall’s Heritage Centre, where it will form part of the company’s growing collection of historic vehicles. Manufactured at the famous Kimpton Road plant, the black Wyvern formed part of Vauxhall’s response to the Government’s ‘Export or Die’ drive, where car makers were ordered to send at least half of their production overseas. The left-hand-drive Wyvern was initially sent to Portugal, where it was registered BE-15-95 by the General Motors Overseas Corp in Lisbon. After passing through numerous owners in Portugal, by the 1980s the Wyvern was in a sorry state until it was discovered by a member of the Vauxhall Owners Club Holland. The car was returned to the Netherlands where it underwent a comprehensive restoration over a number of years, and re-registered AL-74-81. Two decades later, after the death of its saviour, the Wyvern passed into the hands of the VOCH’s Treasurer, Reyer Gerritsen, who has maintained the car in its current state over the last ten years. Reyer finally offered the car to Vauxhall Heritage due to a shortage of space after a house-move. The L-type Wyvern was made between 1948 and 1951. While much of its architecture was based on the pre-war H-type, its unitary construction – which Vauxhall pioneered in the UK – was a key to its light weight, giving it around 1cc per 1b of running weight. 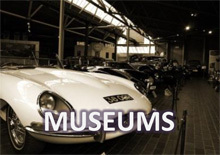 Handling was improved greatly, with different spring and damper rates, and while power wasn’t in abundance, the Wyvern was the liveliest and roomiest car in its class. 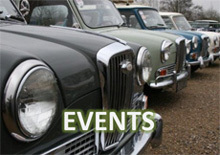 Vauxhall Heritage has one of the largest manufacturer-owned collections of its kind in the UK. 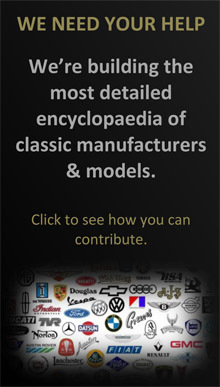 It started in 1948, and now comprises around 70 Vauxhalls and Bedfords, including rare examples of iconic models like the 1903 5HP, Prince Henry, 30-98, Lotus Carlton and Firenza Droopsnoot. A majority of the cars are ready to use and kept busy at shows, events and through loans to the media.